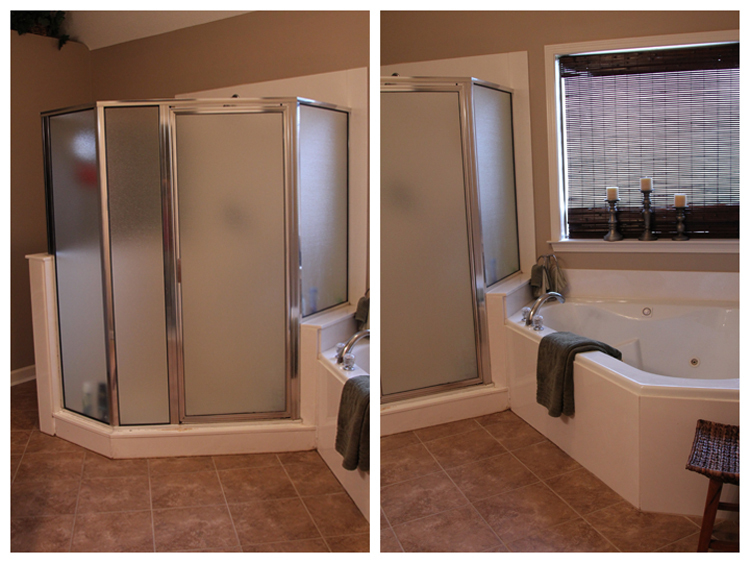 And here is our master bath after the shower and tub areas were completely rebuilt. New mold, moisture resistant permabase installed, new plumbing valves install, new hardware for the tub, new pan/mudbed for the shower floor...whoo-hoo! Next up tile day! Whoa! 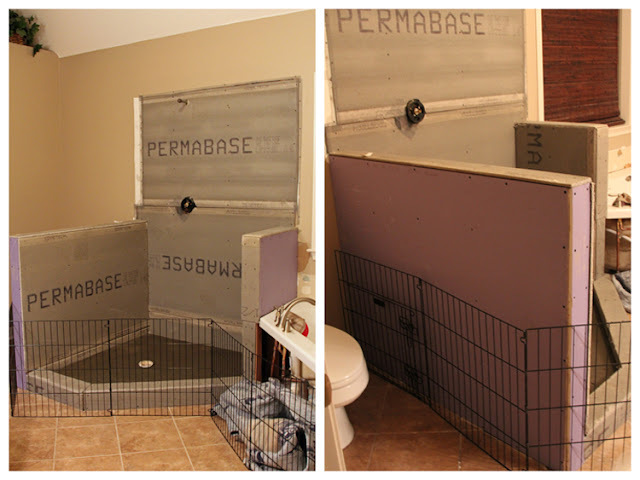 A complete bathroom overhaul project! Very nice. To maintain your bathroom's exquisite look, make sure the plumbing was done right. Water trickling here and there will surely damage your lavatory, so check your plumbing system often. Hi, Sarah! How long did this project take? I can imagine that you put a lot of work into it. 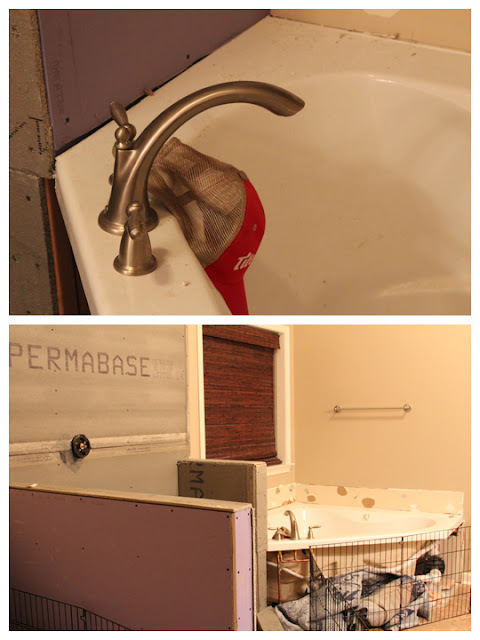 Plus, remodeling an entire bathroom is a serious undertaking. And most often than not, it’s a frustrating and exhausting experience. Anyway, I congratulate you for a job well done. I hope you’re enjoying the bathroom! Jaye, This took about a week for the tear out, the rebuild, the tile, and then the glass to be installed. We didn't do any of the work. We used contractors for everything except installing molding and painting. Leaks can give you a very bad headache. So, as soon as you see it, make sure to repair it immediately. At least now, everything is all good and you can use your bathroom as long as you can. Follow Elie’s advice and check your plumbing system regularly.